"As promised I'm now delighted to announce SGLac now supports 'Wolfenstein: Enemy Territory' and is available for your use as and when you wish to do so. 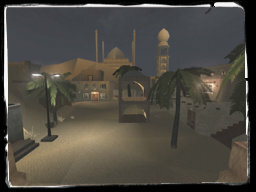 SGLac is the anti cheat developed and implemented by theSGL.com which we have used over the past three years (how we got through the first year without it amazes me!) to ensure a cheat free environment for our official matches. 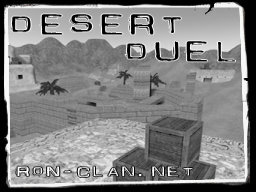 We made it available to clans to use on their own servers for CS1.6 and CSS (it supports a lot of other games as well) but until now have never made it freely available to an entire community to reap the benefit from. SGLac is a multiple level client which checks local memory processes for cheats and reports the findings back to us. I am not going to go into detail about how it works for obvious reasons but rest assured it does its job. For the record SGLac DOES NOT SCAN HARD DRIVE FILES. We have no interest in what cheats you may have on your pc - just the ones you are using while running SGLac. Screenshots are also uploaded. We do have a large cheat database already in place which we crossmatch all scans against but obviously there is no substitute for experience so if there are people willing to take a few minutes and post us some links to some of the more frequently used (or even more obscure) ET specific hacks that are in use that would be appreciated and will be cause for more protection against cheats. What do you need to use SGLac? Head over to theSGL.com and make yourself an account. You will need an account to be able to log into the client and use it. You can then download the client by going to the "anticheat" tab and clicking the link. Install , run and you're in business. (You may find nod32 and AVG AV suites do not like the look of SGLac , simply by the nature of what and how it does things it can look suspect to some AV programs, if anyone is worried about this - all i can do is point to our huge userbase who don't have any problem with it). Finally what may be of note to you is that since ET is free to download and if someone is caught cheating they can simply get a new account/profile/username - is that SGLac can by by hardware (ie if you get caught and banned you will need a new PC to use SGLac again) so we really can kick the cheats right out the game for ever. Any queries I can be reached on mail@theSGL.com or IRC quakenet #theSGL my alias is theSGL|Uzi. This is a mine town. They were drilling for diamonds and oil and stuff. They used mine carts to get to the other site and buldozers for the heavy work but... Again the war came to this peacefull place and now there's a lot of shooting going on. Again a pass map but not to easy. aa-guns, dubrovnik, great_wall_b1, over_the_top, pha_chateau, pha_horus, resurection, town, uje_clv, wolken6_b1, woods, temple_sniper, ae_sniper_challenge, ae_sniper_night. Soldier: MP40, Shotgun, Venom, Flamethrower, Panzerfaust and Mobile MG42. Secondary weapon: Luger. Medic: MP40, Shotgun, Venom, StGw44, FG42, K43 (Scope / Rifle Grenades). Secondary weapon: Luger and Poison Syringe. Engineer: MP40, Shotgun, Venom, StGw44, FG42, K43 (Scope / Rifle Grenades). Secondary weapon: Luger. FieldOps: MP40, Shotgun, Venom, StGw44, FG42, K43 (Scope / Rifle Grenades). Secondary weapon: Luger. CovertOps: MP34, MP40, Shotgun, StGw44, FG42, K43 (Scope / Rifle Grenades). Secondary weapon: Silenced Luger. Soldier: Thompson, Shotgun, Venom, Flamethrower, Bazooka, Browning. Secondary weapon: Colt. Medic: Thompson, Shotgun, Venom, Bar, Garand (Scope / Rifle Grenades). Secondary weapon: Colt and Poison Syringe. Engineer: Thompson, Shotgun, Venom, Bar, Garand (Scope / Rifle Grenades). Secondary weapon: Colt. FieldOps: Thompson, Shotgun, Venom, Bar, Garand (Scope / Rifle Grenades). Secondary weapon: Colt. CovertOps: Sten, Thompson, Shotgun, Venom, Bar, Garand (Scope / Rifle Grenades). Secondary weapon: Silenced Colt. You can trap your weapon. Cvar g_UseOtherWeapon (or menu � Bobot � Options � Weapons Damage). Add Cvar g_SniperWar (if you want to play relaxed a sniper map). set g_SniperWar "0" = no sniper war, set g_SniperWar "1" = sniper war. What the bots do in a sniper war? Into a sniper war map, the nodes for snipers are Protection Blockable (my team). For axis (Protection Blockable Axis), for allies (Protection Blockable Allies). The bots go to these nodes, use its scope rifle, search and find its ennemies. The bot knows where its ennemies can be hidden, because he looks at the nodes (Protection blockable adversary team). Bot knows 8 max adversaries nodes, not more, because more will be cheat and we do not want to be dead too quickly. Wer h�tte damit gerechnet? In einer Pressemitteilung wurde heute bekannt gegeben, dass Activision mit Vivendi Games fusioniert und das neue Unternehmen Activision Blizzard entsteht. Mit Blizzard stellt Activision Blizzard jetzt den wohl gr��ten und angesehensten Vertreter der Massively Multi-player Online Role-Playing Games (MMORPG). Vivendi Games Wert bel�uft sich auf 8.1 Milliarden Dollar. Im Gegenzug erh�lt Vivendi 52% der Anteile an Activision. Zus�tzlich steckt Vivendi noch einmal 1.7 Milliarden Dollar in das neue Duo. Unter der F�hrung von Activision Chef Robert Kotick wird der Softwaregigant weiterhin geleitet, w�hrend der ehemalige Chef von Vivendi Games, Bruce Hack als Vize-Pr�sident seinen Aufgaben gerecht werden soll. Damit wird ein Unternehmen aufgebaut, das Electronic Arts als den f�hrenden Vertreiber und Entwickler der Spielebranche abl�st und Spiele wie Call of Duty, Guitar Hero, die Tony Hawks Reihe, aber eben auch World of Warcraft, Starcraft und Diablo enth�lt. Vivendi ist einer der f�hrenden Unternehmen in der digitalen Unterhaltungsindustrie in den Bereichen Musik, TV, Kino, Mobile, Internet und ist Eigent�mer der Universal Music Group, Canal+ Group, SFR, Maroc Telecom und Vivendi Games. Mehr Informationen gibt es unter vivendi.com. Vivendi Games ist ein globaler Entwickler und Vertreiber interaktiver Unterhaltungssoftware auf Basis verschiedener Plattformen. Die Firma hat sich als einer der f�hrenden kostenpflichtigen Massively Multi-player Online Role-Playing Games (MMORPG) etabliert. Vivendi Games umfasst ungef�hr 4000 Angestellte, die ihr Wissen und K�nnen in vier Abteilungen entfalten: Blizzard Entertainment, Sierra Entertainment, Sierra Online und Vivendi Games Mobile. Blizzard, mit Sitz in Kalifornien und Entwickler der WarCraft, StarCraft und Diablo Spieleserien, besch�ftigt alleine 2300 Angestellte. Bekannt durch die Spielehits wie Warcraft, StarCraft, and Diablo, ist Blizzard Entertainment, Inc. (blizzard.com) eine Abteilung von Vivendi Games. Blizzard Entertainment f�hrt in seinem Spielerepertoire zehn Nummer 1 Spiele, die mehrere Game of the Year Awards erhalten haben. Der Online Gaming Service Battle.net ist einer der gr��ten weltweit und z�hlt Millionen aktiver User. Mit Haupsitz in Santa Monica, Kalifornien, ist Activision, Inc. einer der f�hrenden weltweiten Entwickler und Vertreiber interaktiver Unterhaltungssoftware. Die im Jahr 1979 gegr�ndete Firma, hat mit dem am 31. M�rz 2007 endenden Gesch�ftsjahr 1.5 Milliarden Euro eingenommen. Activision besch�ftigt weltweit mehr als 2000 Angestellte. Activision besitzt Filialen in den Vereinigten Staaten, Kanada, dem Vereinigten K�nigreich, Frankreich, Deutschland, Irland, Italien, Skandinavien, Spanien, den Niederlanden, Australien, Japan und S�dkorea. Mehr Informationen �ber Activision gibt es unter Activision.com. By the beginning of March 1943 the Eighth Army, advancing westwards along the North African coast, had reached the Tunisian border and Axis found themselfs in an Allied two army pincer. They were outflanked, outmanned and outgunned. The British Eighth Army shattered the Axis defense on the Mareth Line in late March and First Army in central Tunisia launched their main offensive in mid April. The axis forces are regathering there forces in north Africa to Tunisia were they have ammo bunker and newly developed rocket. They have been given the order to launch the rocket on allies headquarters and hold the perimeter until reinforcements arrives. 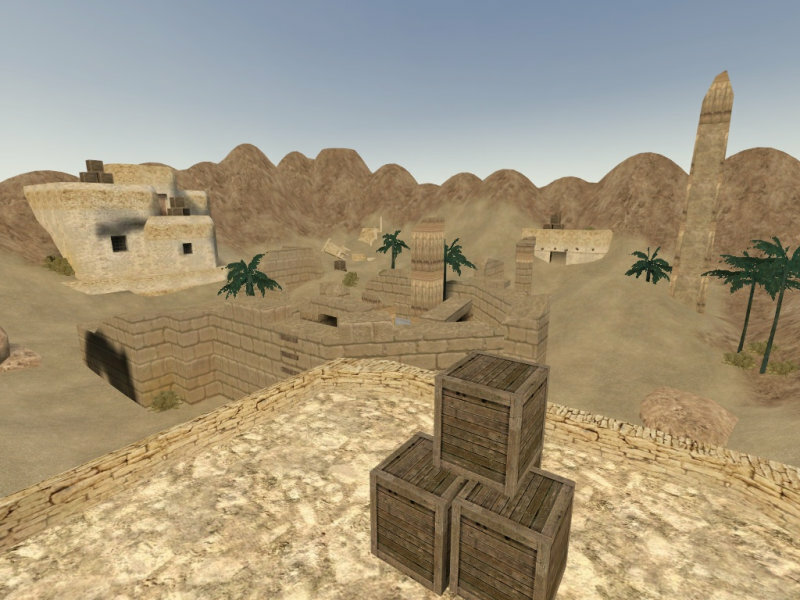 The allied forces has landed in Tunisia and are about to destroy this low guarded axis ammunition bunker and the rocket. EarthSculptor is a realtime terrain editor and paint program featuring an easy to use interface designed exclusively for rapid development of 3D landscapes for visualization, multimedia and game development. We're hoping to get this new revision out to you next week, while the final version of SDK is currently set to be released shortly after the next game update. 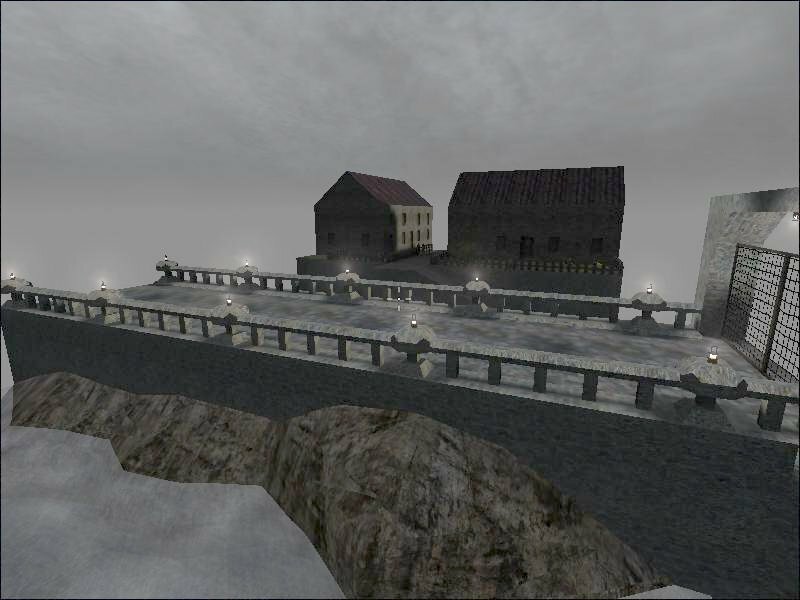 XavioR releases mod wich adds QuakeWorld-style bunnyhopping and air control to ETQW. Air control is a little crazy at the moment, hopefully that will be tweaked next release - till then, have fun! "After a shakey 0.2 Release, I am now able to produce distributable versions of the gamex86.dll. I had not realized that the "Debug with edit and continue" build has requirements for the end user. So switching it to a release build fixed the distribution problem." Well, not much to say. 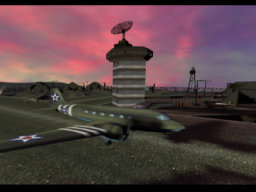 Fourteen new and old maps for the 'Wolfenstein: Enemy Territory' modification 'True Combat: Elite'. jigsaw vom RoN Clan schrieb ein kleines Tutorial wie man einen ETpro 3.2.6 Server zum Trickjump-Server umfunktionieren kann. Neben den ben�tigten �nderungen der Serverconfig werden auch die LUA-Module (Adrenaline, Save/Load) bereitgestellt. 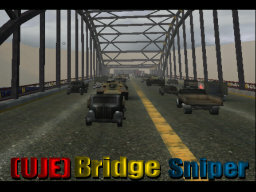 89blitz created a small light test, embed in a bridge with a few houses. Inofficial Fan Screensaver for ET:QW. Some Objects are flying over the desktop or the last opened window. On a collision with the blue and red balls there will be a aucustic collison. You need to have Flashplayer installed to run this Screensaver. It's working and tested on all Windows Systems. cleandesperado released an updated version of his config tweaker. You need the MS Visual Basic 6 Runtime Package to run this program. "The SDK-Beta has been released, but what is more important and anticipated for a long time now - a competition-mod, which enables a well balanced competitive play, is currently in development. "for the community by the community" should be emphasized at this point. Right after the decision to develop ETQWPro, the webmaster of qw-scene.de x-ray decided to implement this platform where communication between players and ETQWPro-developers about the ongoing process of ETQWPro can take place. Fairly large text file with info for colored text, and chat bind commands. The Parazite Clan released a nice pack of tools to administer a gameserver. Installation is not necessarily, the exe is self-running. 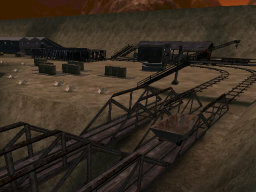 "Although it's currently set to read only (no one as of yet can add information) Splash Damage have made the Quake Wars modding Wiki live so you can read up on all things related to editing Quake Wars, including a couple of basic tutorials - one of which runs through the steps of creating a simple Quake Wars terrained level, nice!. So far it looks to be a damn site better organised than the previous official wiki's that were put out for Doom 3 and Quake 4 at iddevnet!" Our partnersite ET-Stuff got a new URL, so update your bookmarks! In the near future, the site will be completley restored and the filebase will be complete again. Once you've got it installed and have started tinkering with it, don't forget to stop by the ETQW Mods and Editing Forum to share your creations with the rest of the community. We've also got our official ETQW Editing Wiki on the way; it's currently set to launch later in the week." And we are trying out the new bots, with npc (bots that take no player slots). 12 Axis 12 Allies and 20 NPC Bots. our sever is a 40 plr slots servers. (later we get 60 slots server we play at 30 Axis 30 Allies and 30 NPC) IN TOTAL 90 Player on one server. We try only the bots in 7 days, and some skins. soundpacks. Lots of bugs are gone, sinkwholes are gone, and more. There is no password and ALL is welcome! "Attention all Modders and Mappers! 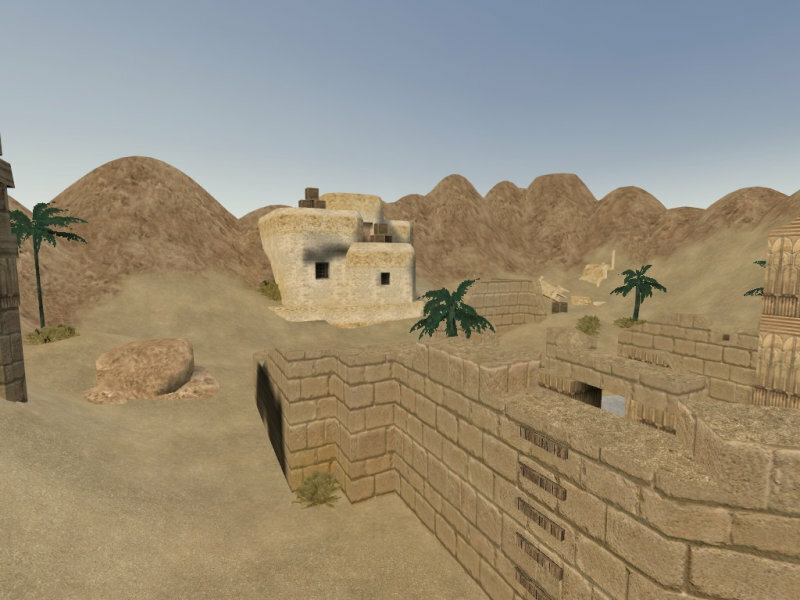 If you've been waiting to make your own mods based on Enemy Territory: Quake Wars, build your very own ETQW maps, create new vehicles and weapons, or are just curious to see how the game works then stand by for a veritable explosion of game-helpy stuff. While the Beta SDK will not include any Megatexture media or the source textures used in our texture sheets, we are planning to release those separately later. We're also getting the ETQW Editing Wiki ready for launch, so you'll have sample documentation and tutorials at your disposal. So when are you going to get your hands on the Beta SDK? Well, it's currently undergoing final testing and approval - barring no major malfunctions, you'll get your hands on it as soon as that process is complete. Until then, keep an eye on the news page for the latest on the SDK. 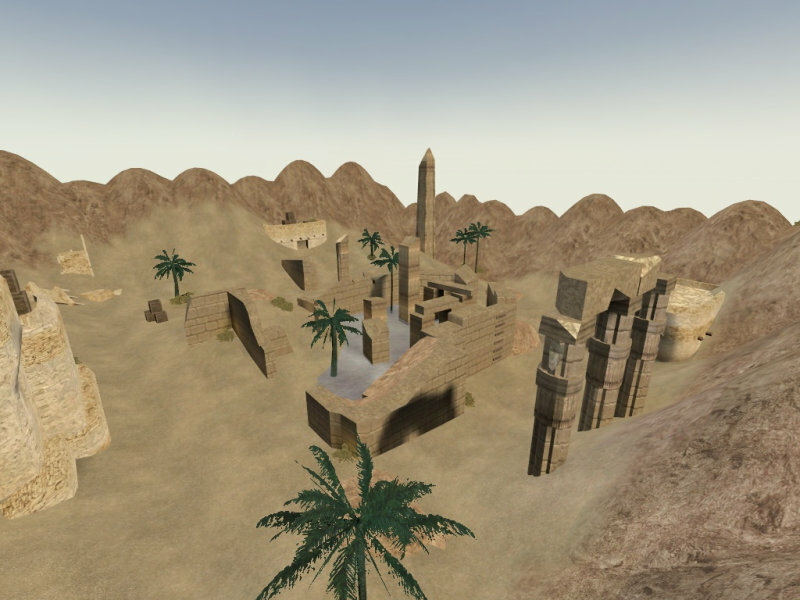 We can't wait to see all the cool maps, mods, and models you guys are going to come up with!" The map is a copy of a real bridge in Nijmegen. There where a lot of trucks running from one to the other site untill snipers came. Alle trucks where abandonned or the drivers where shot. Try to get to the other side but it will not be so easy cause they will expect you. DeathfromAbove created a QW strogg theme for UIQ3.x phones e.g. Motorola Z8. 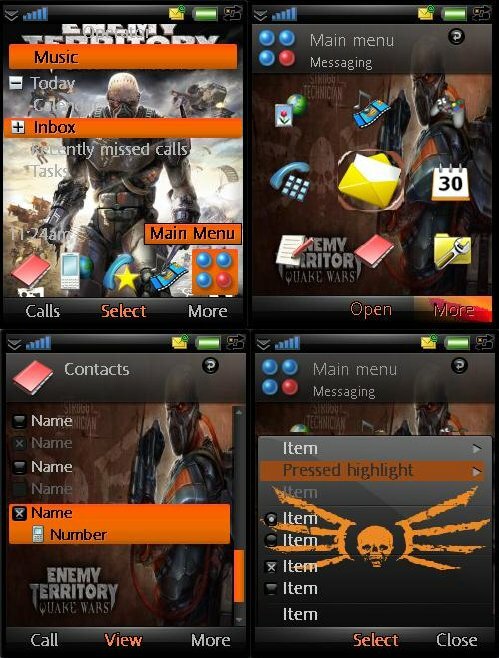 A ReadMe of how to install this theme on your mobile is included. The Linux client files have been updated to R5, this build adds voice chat and fixes a few bugs. 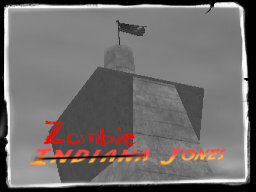 Map by Tyrlop, made for "Zombie Mod". After our partnersite ET-Stuff was hacked, now the site is back with a new URL, so update your bookmarks! There is an allied airbase. From the airfield, axis try to capture the whole airbase. The allies try to protect the airbase. Both sides are true sniperfighters.